What you will need to do is hop to each blog and make a list of the school item found on each blog. 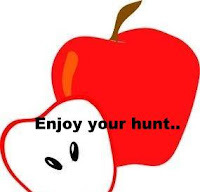 Make sure after you have finished to email Jacquie at javablustamper@yahoo.com . 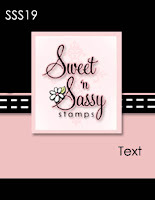 Start at SSD.....Be sure to check out the other Sassy Seven blogs for their item. 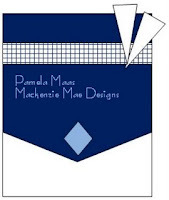 I was nominated as one of the SUPER SIX at Cardpatterns for this creation. I was also nominated as one of Top5 at Getsketchy for this card..Yay!!!! Its Sunday... another Pam's lovely sketch. She is really good with them. The cute owlie is from Sandylion....love that set. Papers: DCWV and K & Company. Yesterday was a lucky and eventful day for me.... 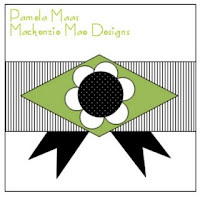 I received an email from Priscilla ..... that I am now a part of Stamptacularsundaychallenge design team. Love SSC and now I get design for them....Life is good. I used the cute image ~~ "RAH RAH RHONDA" from Sassystudiodesigns.... Isn't she super cute??? I also used some bright paper from K & Company ....... this colors will cheer anybody up for sure. Just wanted to remind you all that we have another fabby of SSD release~~"BACK TO SCHOOL" on Sept 1st. I have an exciting news to share.......I just got selected as Instylestamps Dt member. YaY!!!!! I am so happy .... they have the super cute stamp collection...love them all. Wish me luck for my new Creative adventure. I used a cool sporty digi image from TheCharacterCafe~~~ "Syd Golfer" . I paper pieced the cute image for this one. Sharing few snapshots ..... I fun had playing with SYD. Labels: 365 cards, digi images., the pink elephant, thecharactercafe. Pileitonchallenge : GOOD THINGS COME IN THREES!~~ three blings...2 sets of them, three papers/cardstock. I just turned Laura's sketch sideways ....the lovely girl is " Magazine margie" from Sassystudiodesigns. The sentiment is from Stampendous.. I altered it a bit trimmed off the mouse image in the middle. The paper is Lime rickey.....love it. Another lovely image By Lindsay....." Techie Tanya" from Sassystudiodesigns. Papers: Basic Grey and Cosmo Cricket. Enjoy crafting...I will be back tonight with some more cards. No cards today...just a quick post about Digitaltuesdaychallenge DT Call. DTC is looking for 2 DT members....I love this challenge and my digi stamps, so I will try this one. If anyone of you wanna try ....check here for details. Pileitonchallenge: Good Things Come in Threes!~~~3 color blings, 3 swirls, 3 flowers, 3 color combo, 3 brads. Pennybfriendssaturdaychallenge: Stitching~~~hand stitched the heart border and Faux stitched the swirls. Basicgreychallenges: Colour Combo~ PINK,YELLOW,BROWN~~ used " Bittersweet and Ambrosia" papers. 1> Cute paper Gift~~~ Made a note book for My Daughter...she likes to write short stories . 2>Bling it up~~~~ Three colors of bling.....pink,white and grey. 3> Add a tag~~~"for you" tag on the top corner. 4> Cut some flower~~~ Made three flowers .....punched scallop paper and snipped it to make petals..added three different brads. 5>Tie it up~~~ tied the tag with EK Success fibers. la-las-weekly-wednesday-challenge-2: Stitching~~~hand stitched the heart border and Faux stiched the swirls . Stamptacularsundaychallenge : 3-D~~~Added three layers using pop dots...the main image has most cute 3-d effect. Added a note pad from Michaels....and made a little pocket inside for little things. Hope she likes it . Stamp & Sentiment: Penny Black. Swirls: Cricut...Joys of the season. Flutter-by-Wednesday : favorite quote (or a quote) on the creation along with a butterfly or fairy. 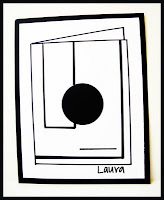 365cards : "BACK TO SCHOOL"
Getsketchy: Challenge#2 and Bonus challenge : Use a Punch. Papers: DCWV and Making Memories. Punch: Fiskars Circle and MS border punch. Blings & Fiskars border punch. Didn't wanna miss this week ...so here is my birthday card. Stamps: Branch~ Sandylion , Owl~ Pink Cat Studio. Papers: "Eco-Modern" from K & Company. Love this K & Company monkey sticker....the paper from Creative Memories and sentiment from Penny Black. I'm back....finally but not from any trip .....now the sad story....Monday my computer crashed...TOTALLY. Geek squad failed to repair it...didn't have any backup...so lost all my work ..digi images and everything. Finally yesterday my hubby got me a new laptop as birthday gift ( Yeah! August 19th~ my birthday). Now I'm back to the blog world...missed you all a lot. caardvarks: BLACK,WHITE and HOT PINK. 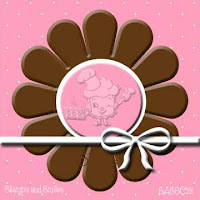 a little gift for some stamper....Chocolate and stamps always work great togehter...atleast for me. The cute stamp is the new Penny Black winter collection. A quick post ...... 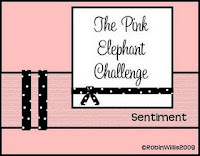 This week's thepinkelephantchallenge ......a lovely color combo ~~ Brown, Turquoise and Neutral. I used the beautiful turquoise Basic Grey paper , pretty ribbon is from Michaels and a digi image from Sassystudiodesigns for this one. 365cards : Use toile as the background pattern. Okay!!! Toile......lovely thing to work with always saw it on fabric....so printed a fabric swatch from online store ,resized and printed it on Acrylic sheet...for the fabric texture.If you look upclose ,totally looks and feels like fabric. Painted her dress with Prisma marker. 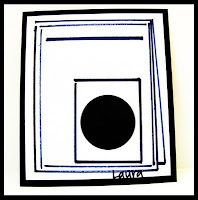 The Black polka dot frame is a Cricut cut . Used the clear sheet from Shortcuts as card base , stamped a flower border with black Staz on....added blings for that pretty look. Sentiment is from K & Company ~~Amy Butler clear stamp set. Now I have some fun things for you...... But first I would like to show you all my Favorite Girl.....sweet POPCORN .....my daughters call her POPCORN Katie. POPCORN is our fovorite family snack.POPCORN reminds me of movies...so here is my creation with her..
Now can You find the hidden message in it???? ....Just for fun ...leave me a comment with the hiiden words/message you find .....on this POPCORN card. Its not necessary for the hop but I will pick a lucky winner who will recieve this cute POPCORN card and a little surprise goodies for me. I used this week's Papertakeweekly sketch ...PTW is also celebrating their 100th Challenge. Now back to the hop...once you have visited all the blogs and found all the words for the word search, email your answers (all words and where you found them) to Jacquie at javablustamper@yahoo.com (they must be in no later than 3:30 pm PST/6.30 EST USA to qualify for the prize!) The winner will receive FIVE images from the new release!!! I used Laura's lovely sketch to make a teacher's gift.....Yeah!!! almost back to school time. Inspired by amzing DT creations at 2s4y....I also used thecuttingcafe 's Apple shaped card...but I resized it to make a tag . 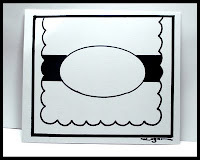 The box is called "ChalkBoardEasel .... the template is from Mftstamps. Just perfect for some thank you goodies for the teachers.The cute stamp is from stampendous. Papers from DCWV. Sometimes easy challenges are the tough one to make.....Really today I am feeling it. 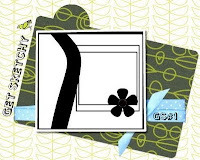 Today's 365cards challenge is "The Card is the Gift" ----Pam said its an easy one ...just the card should look like a well-wrapped gift. Somehow when started it everything looked so flat...finally I came up this. Used some candy wrappers and made a shakercard...in which nothing shakes..lol. Such a fun sketch ..... I liked all the DT creations up there. I loved our wonderful AMY's take on the sketch..... just added a little twist to it. 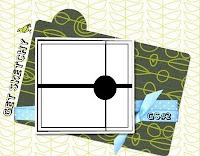 The bonus challenge is "USE PATTERNED PAPER"...so used Cosmo Cricket paper and Patterned vellum. I somehow like these swing open cards...so added a rhinestone brad on the sentiment(HeroArts)to make it work.The image is "changito" from Stampendous...all time favorite. Finally my card is complete .....with a Sweet treat.